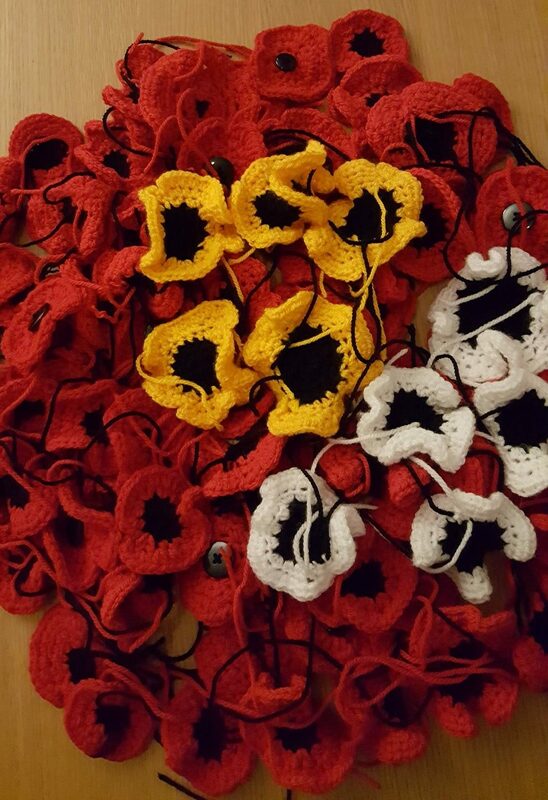 A POP up art installation of crocheted poppies is being created at this year’s Kendal Wool Gathering over 28th and 29th October. The installation will then be moved to behind Kendal Parish Church to feature in the Remembrance Day services just two weeks later. The poppies will raise money for the Royal British Legion annual appeal which helps care for Armed Forces and their families. After Remembrance weekend the poppies are being donated to Wonder Wools of Wales which has a target of 887,858 to represent each death of a UK service person in World War 1 with a Centenary textile curtain of Poppies. To reach this target, we need your help and here you can download the Poppy Knitting Instructions along with a few tips. 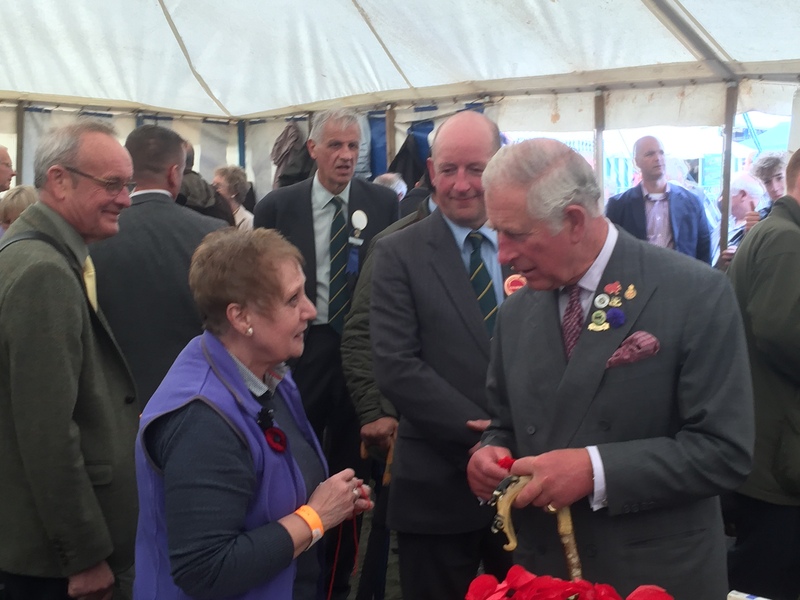 Prince Charles supports the Poppy Installation alongside Marion. “This year is the centenary of some of the bloodiest battles of the First World War and we want to create a piece of art that helps people remember the sacrifices made and still being made as a result of conflict. Over the weekend of 28th and 29th October, the poppies will be displayed outside Kendal Leisure Centre. After Kendal Wool Gathering the installation will be rebuilt behind Kendal Parish Church for remembrance weekend, 11th and 12th November. The success of the venture relies on volunteers joining in the mass production of the poppies. About 40 groups have already been recruited with Women’s Institutes, Brownie and Guide packs and church organisations being approached in the coming weeks. A simple crocheting pattern has been devised by Marion Minshall who has been giving a series of demonstrations on how to make the poppies at K Village. Packs of material to make two poppies will be available, one to keep and wear and one to add to the installation. 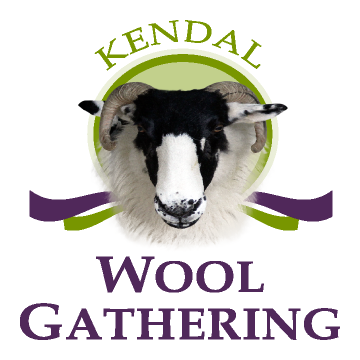 The fifth annual Kendal Wool Gathering, which celebrates the town’s connections to the trade on which its wealth was built, will be held on October 28 and 29 at Kendal Leisure Centre. For its first four years the event was held at K Village complex. “Kendal Wool Gathering has grown in numbers of stall-holders and visitors each year and this year we hope to make a smooth transition to our new home,” said KWG Chairman, Mike Glover. Sixty stall-holders have now booked spaces. They come from Aberdeen, London, Wales and even Holland, as well as across the North of England. They include carpet makers, handbag and accessory companies, spinning wheel sellers, artists and many retailers of knitting wool and associated goods. As well as the wool market, there are side rooms for workshops, demonstrations and places to knit and natter. 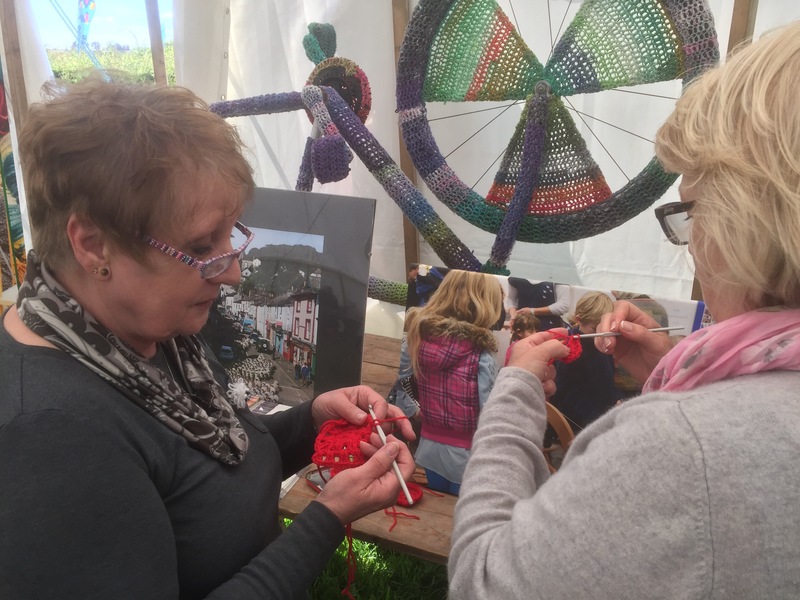 Last year Kendal Wool Gathering attracted more than 7,000 visitors, about a third of whom said they came to the area specifically for the festival, boosting the local economy. Find out how you can get involved by visiting this Facebook Page and this Facebook Group. Marion Minshall teaches Mandy Dixon to make yarn poppy.